For both kids and the adults, Christmas morning is a culmination of all the anticipation of the holiday season, and all the preparations that got you to that moment, that makes everything feel magical. But in all the excitement of the kids who’re waking up, parents running on fumes of sleep, spending time with family and opening gifts, you still need to eat. But, not everybody wants to cook. 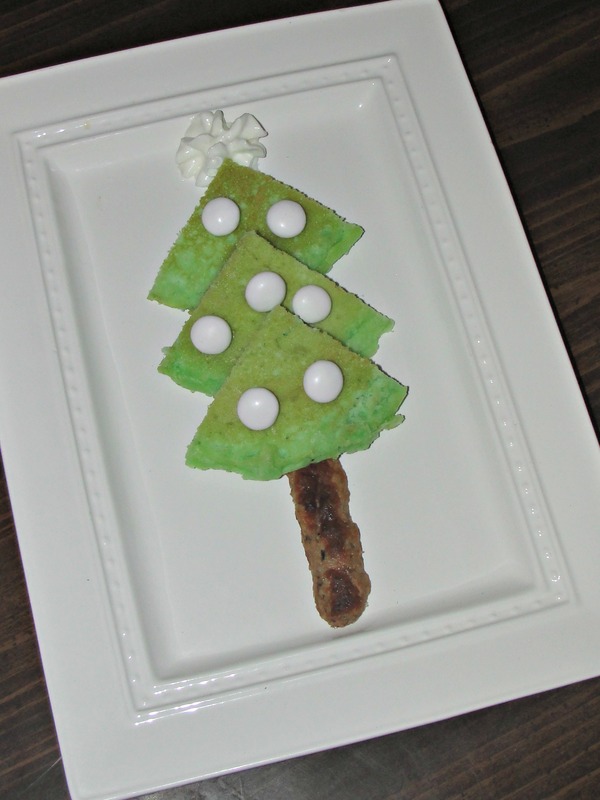 I still think Christmas morning breakfast should be as special as the day itself. In my case, it’s also got be quick to prepare or easy to make-ahead so I’m not stuck in the kitchen away from the rest of the family for half of the morning. This right here, fits the bill. Pancakes. Breakfast Sausage. Whipped Cream. M & M’s. What do all these things have in common? They all make up this fun food idea that kids will go ga-ga for. 1. To make, heat a flat griddle until warm but not too hot. If you heat the pan too hot, the pancakes will brown too quickly and you will lose the color. 2. Cook pancakes, as many as desired. 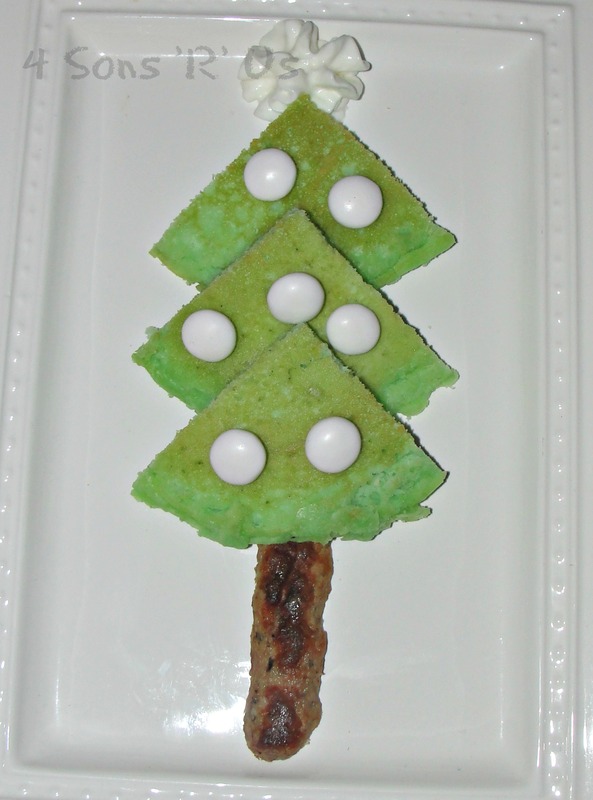 One regular sized pancake will make one Christmas tree. 3. Once the pancakes are cooked on both sides, cut them into quarters using a pancake cutter. 4. Layer the pancakes on a plate starting with the top and making three layers. 5. Cook the sausage links and add one, halved length-wise, for the trunk of the tree. 6. Arrange some M&Ms for the ornaments and add a whipped cream ‘star’ and you’re ready to serve. What child wouldnt love these? So cute and yummy!